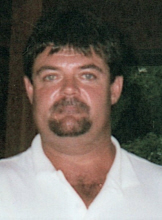 Jerry Lynn Weber, age 60, of Mattoon passed away at 5:36 p.m. on Monday, November 26, 2018 at Sarah Bush Lincoln Hospital. Funeral Services honoring his life will begin at 11:00 a.m. on Monday, December 3, 2018 at Schilling Funeral Home with Pastor Paul Weber officiating. Burial will follow at Dodge Grove Cemetery. Visitation for family and friends will be held from 9:00 a.m. until the time of the service on Monday at the funeral home. Jerry was born on December 28, 1957 in Mattoon the son of Cecil and Juanita (Croft) Weber. He married Kathy Mae Carey on April 18, 1980. Survivors include his loving wife, Kathy Weber of Mattoon, IL; daughter, Autumn (Brian) Shadwell of Mattoon, IL; grandchildren, Sage, Austin, Alyssa, Gabe, Gracie, and Kiara; father, Cecil Weber of Mattoon, IL; brother, Lonnie (Vicki) Coffey of Mattoon, IL; and special friend, John Cohoon. Jerry was preceded in death by his mother, Juanita Weber; sister, Anita; brother, Steve Weber; and daughter, Brianna Weber. Jerry worked at UA Local 149 Plummer and Pipefitters out of Savoy. He enjoyed riding his Harley, fishing, camping, and spending time with his family. He will be missed by all those who knew him. To send flowers or a remembrance gift to the family of Jerry Weber, please visit our Tribute Store. "Email Address" would like to share the life celebration of Jerry Weber. Click on the "link" to go to share a favorite memory or leave a condolence message for the family.